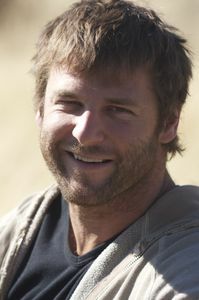 Animal Planet's large predator expert Dave Salmoni embarks on the most transformative mission of his life - and also the most relevant one. Leaving the city life of Toronto, Salmoni heads deep into the Namibian bush to spend six months - ALONE - among a pride of lions and the diverse and often deadly wildlife in Africa. His mission is twofold - to return to his wild roots and to head INTO THE PRIDE to save a rogue pride of lions from elimination. The five-part series takes viewers along with Salmoni on a tenuous journey - accompanied by a camera crew by day and completely alone once darkness falls. 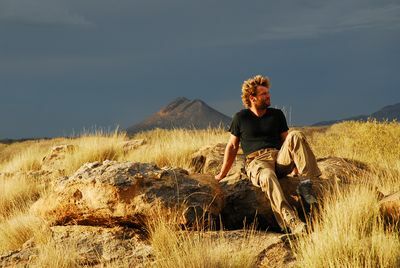 After spending much time in the "urban jungle" as a host and executive producer, Salmoni is given the ultimate opportunity to reconnect with two of his lasting passions - the serenity and solitude of living in the wild and his love of big cats, particularly lions. Setting up camp deep within Namibia's Erindi Private Game Reserve, Salmoni spends each solitary night while African game roam through his campground. 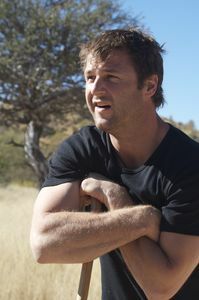 He awakes early each and every morning determined to get closer and closer to the lions he's trying to save. INTO THE PRIDE extends far beyond Salmoni's personal journey. As their last chance for survival, Salmoni must help a pride of "problem lions" learn to accept humans and support the growing eco-tourism in the area. These cats, transplanted from the largest national park in Namibia, are known for cattle raiding and aggression toward humans; if they don't calm down, they will be destroyed. Salmoni's challenge is immediate; he'll need to get as close to the lions as possible - dangerously close. INTO THE PRIDE follows Salmoni as he heads straight into the fray to ingratiate himself among the lions and become the first human they can trust. It's an emotional journey told through Salmoni's compelling personal narrative as he attempts to forge a relationship with every lion, from Brutus, the dominant male, to Rough and Tumble, the youngest cubs. 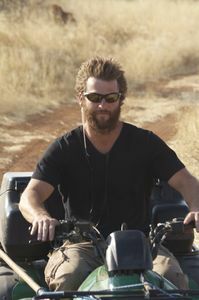 It is large predator expert Dave Salmoni's first weeks living among rogue lions in the African bush, and his experience isn't starting as smoothly as he'd hoped. 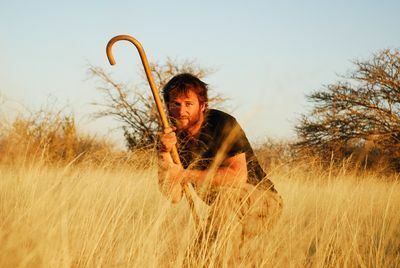 His bush skills are rusty, and camping alone smack in the middle of lion territory is a huge adjustment from city life. 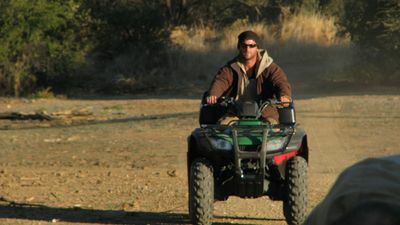 Just locating Erindi Private Game Reserve's rogue lions within the vast 170,000-acre reserve is a massive challenge. Still, Dave and his crew manage to meet the core pride and discover these lions are even more hostile than they'd expected, especially the dominant female Cleo. It's been five weeks since Dave first stepped foot within the Erindi Private Game Reserve to rehabilitate a pride of rogue lions. So far, Dave's attempts to calm them down have been met with non-stop charging. To gain the trust of the pride, Dave decides to take on Brutus, the dominant male. It's the ultimate risk; Brutus is king of his territory and ultimate protector of his pride. Will he allow Dave to get close? Only one thing's for sure - Brutus calls the shots, and Dave's success or failure will be on his terms. 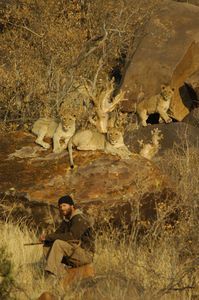 After spending 10 weeks living deep within the Namibian bush among a pride of rogue lions, Dave begins to wonder if he's making any progress rehabilitating these problem lions. His old methods of training big cats are clearly not working. While he's made a good connection with Brutus, the pride's king, Cleo, the queen of the group, is not so easily pleased. She has an agenda of her own - to get rid of Dave. Can a new technique prove the trick in placating Cleo? At this point, Dave's been living among a rogue pride of lions for more than four months, and he's beginning to see the results of his intervention project. 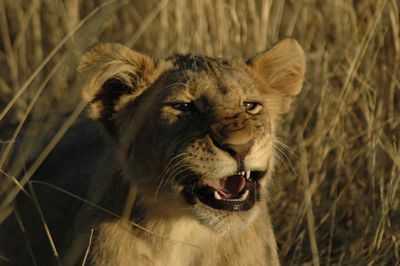 He's made big strides reforming the pride's adult lions, all except for the always hostile and dominant female, Cleo. 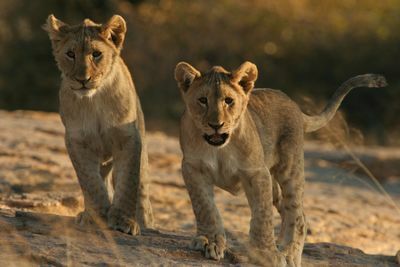 Her protective, mothering instincts remain aggressive, and if Dave doesn't intervene, Cleo will imprint aggressive behavior on the pride's cubs. He takes a chance with some innovative toys. If Cleo doesn't spoil their playtime, there's still hope for the next generation. It's spring time at the Erindi Private Game Reserve, and more than just the season is changing. Dave's six-month, high-risk intervention project finally is coming to an end. In his last month, Dave discovers his friend Brutus, the dominant male, is facing old age. Who will take over the throne? Will it be Brutus's brother, Otis? And, does Dave achieve his goal? As Dave packs up his bush camp and prepares to go home, he says a final, bittersweet goodbye to each member of the pride.